The "funny and independent" mother of two had been visiting family in town for the holiday, and had planned to return to her own home that day. The juvenile prank had caught the attention of a man driving a Lincoln, who allegedly flashed a semiautomatic handgun at the teenagers and then began chasing them, the Harris County Sheriff's Office said. The SUV - driven by a 14-year-old - sped westbound on Aldine Mail Route Road. 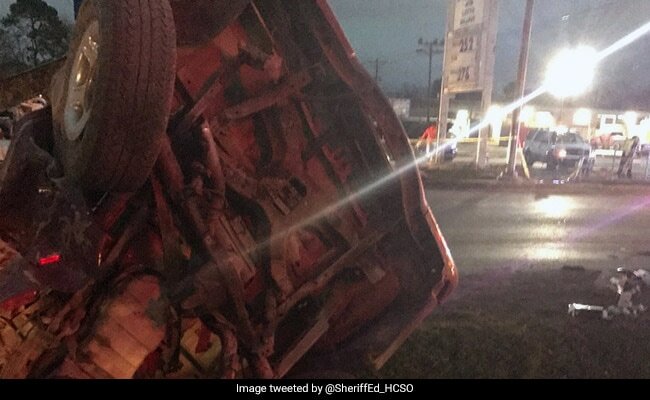 At the intersection of Aldine Westfield, it ran a red light - and slammed into Zavala's red pickup truck.